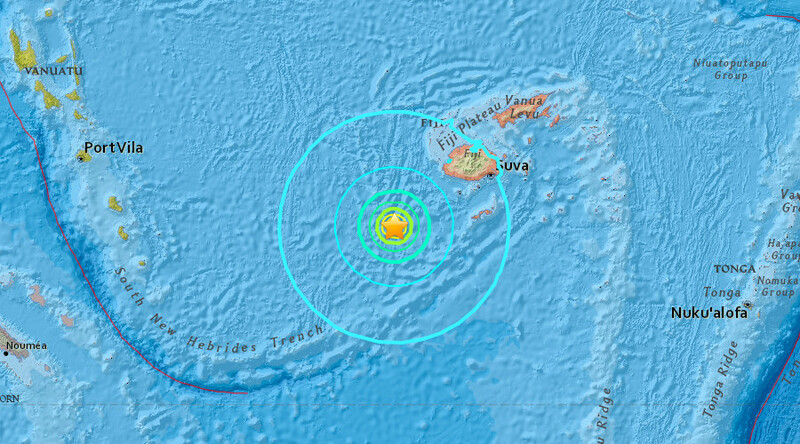 A powerful earthquake has struck off the coast of Fiji, triggering a tsunami warning within 300km of the epicenter. The USGS downgraded the quake to 6.9 while the PTWC measured it at 7.0, warning that waves up to 1 meter might hit the island nation. The quake, initially measured at 7.2 magnitude, was centered some 221 km southwest of Nadi at a depth of 15.2 km, the USGS said. A series of strong aftershocks measuring between 4.9 and 5.8 struck the same area within an hour after the initial quake. “The tsunami threat from this earthquake has now passed,” the PTWC said in their latest update after the Center warned that waves of up to 1 meter could hit the coast of Fiji. “There is no longer a tsunami threat from this earthquake...remain observant and exercise normal caution near the sea,” the PTWC said. The PTWC stressed that at no point was there a tsunami threat to Hawaii and only “parts of the Pacific located closer to the earthquake” were at risk. The population of the Greater Suva urban area was 172,399 people according to the 2007 census. Meanwhile, Fiji’s southern neighbor New Zealand said there is no tsunami threat to their nation. 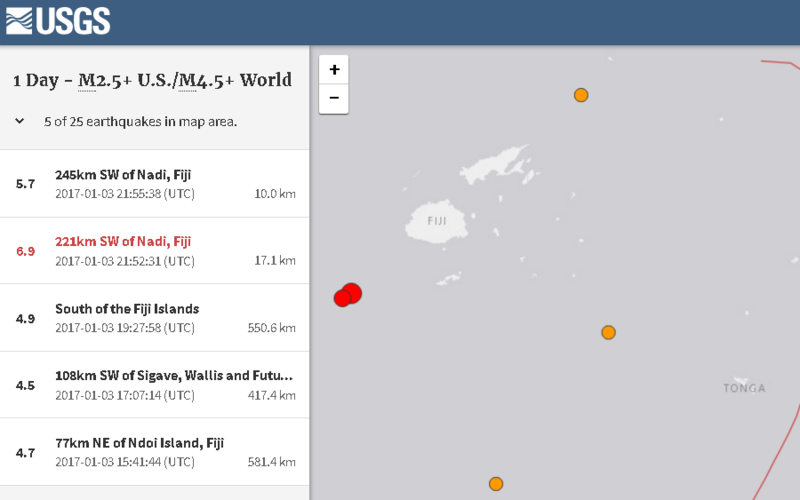 The Fiji Islands are seismically active. One of the most destructive Fijian tsunamis hit Suva on 14 September 1953, following a 6.8 magnitude quake. It caused major damage and destruction to the wharf and infrastructure and resulted in eight deaths in Suva. It was determined that the cause of the tsunami was a 60 million cubic meter submarine landslide at the head of the Suva Canyon.